With ridership numbers that have increased in 19 of the last 20 years, Amtrak has a pressing need for new equipment. 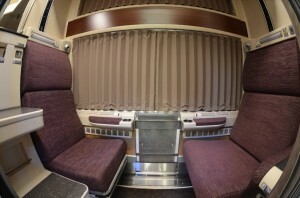 Many of the bi-level Superliner cars still being used on long-distance trains date back to the 1970s. 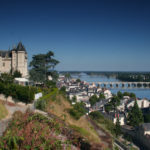 They’ve been renovated and refurbished, of course – many of them more than once – but they’re still showing their age. 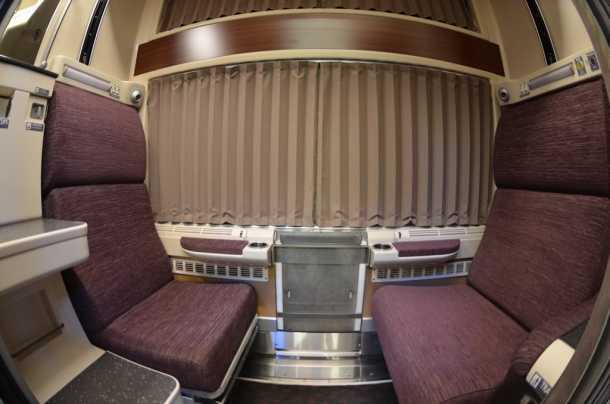 The newly designed Viewliner roomette no longer includes a toilet. 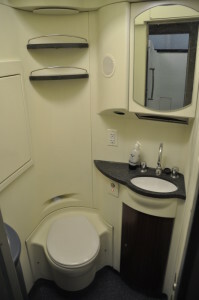 The public lavatory looks pretty much like the facilities on the Superliners. 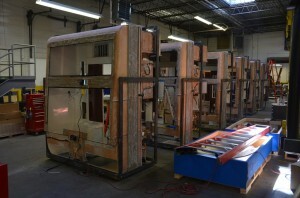 Everything is of modular design, so roomettes are built separately as a complete unit, then set into place. Additional benefit: maintenance is faster and easier … and cheaper. A mock-up of the new Viewliner dining cars. Wouldn’t it be nice if they really did come with real china and glassware! The overall design is clearly more modern than the original Viewliner, and there is one notable difference: the toilet and sink are no longer included in the roomettes. Personally, I think this is an improvement. Going “down the hall” to the lavatory may be a minor inconvenience for some, but the roomettes are now more spacious and using the toilet when two people occupied the roomette was always awkward if not unpleasant. Besides, Superliner roomettes have no en suite facilities and that’s never been a problem. Last I heard, the first of the new Viewliners was scheduled for delivery around the middle of this year. Looks like there will be a delay, but the sooner the better. I’m booked on the Silver Star from New York to Jacksonville around the middle of October. It would sure be nice to find myself traveling in one of the new Viewliners! Previous When It Comes to Trains, Railfans Can Be Real Fanatics. NextThe Slower We Go, The Behinder We Get. Leave it to Amtrak to make something NEW look OLD. Honestly, could you not take a peek inside of European trains and get some serious design ideas? Especially when your trains are being built by a European company in NY. I totally agree with you. I’m from Europe, The Netherlands. They’re more modern over there with everything. Good reporting but why spend all the cash for baggage cars? They don’t bring in any money, who cares if your suitcase gets cold or placed in an old car? There is a method to the apparent madness. The new Viewliner “baggies” only use about half the space to carrying luggage and other freight. The other half is built out with roomettes for the onboard crew. That’s a big improvement because the crew has had to occupy roomettes that could otherwise be sold to the public. That’s an especially big deal on the Cardinal because there is only one sleeper on that train and four of the 12 roomettes are used for the crew. From what I have read, only 25 of the 80 new baggage cars are “baggage-dorm” cars. 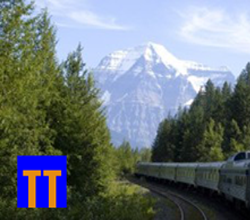 We could have limped along on older baggage cars for a while…there are higher priorities, in my opinion. Every single woman I know who has taken a Viewliner roomette really hates the in-room toilets – even if they are traveling alone! And as for men, let’s be realistic: a sink is all you usually need. I’m ok with this practical compromise. I certainly would not pee in the sink. I have spent a number of days in a roomette and have used only the bathrooms on the sleeper car. The roomettes I have had did not have even a sink. I would rather use one of two bathrooms than to sleep next to a very unsanitary and stinky toilet that my roommate just used. Besides, what good is a toilet in your room in the middle of the night when you have a roommate? This is a woman who travels LSL a LOT (daughter in Chicago) and I LOVE THE TOILET and will miss it. Hate to have to wander down the hall in the middle of the night. With the amount of money you pay for a sleeper you would think they would be giving you more such as a television and or wifi NOT taking stuff away from you like the bathroom. It is 2014, I cannot believe there is still NO wifi. Not to mention how much faster the trains are overseas. 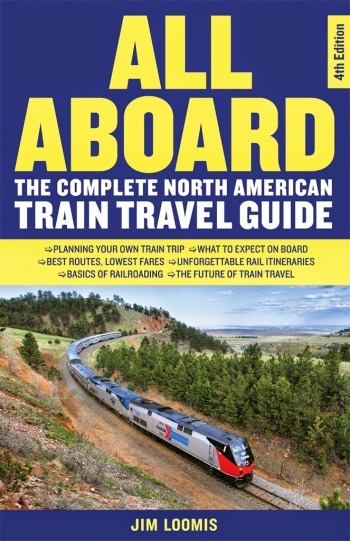 Come on Amtrak/USA, get with it. i think most guys will simply piss in the sink…. My problem with no bathroom facilities in the roomettes is this. I take the train when going on vacation with expensive cameras and laptops. When going to the dining car, I take my backpack with me. Now, going to the bathroom I need to take those too. I too go solo and will miss this privilege. Maybe I will still be on the older cars. Re: loss of toilet in roomettes. I am at an age that when I have to go I have to go! Period, no delay! If both toilets for 12 roomettes are in use, have to do what I have to do. With the fare charged for this hotel on wheels, I would expect better accommodations than Mother Clancy’s boarding house down in the Bowery back in the 1930’s. Amtrak’s history website has named these new cars “Viewliner II”. For more information, check out their page on Viewliner equiment, past and future. There are reports that there is to be an October 24 media event regarding the new CAF cars. Hopefully, some kind of delivery schedule will be announced as well as same for having these cars to enter revenue service. I can only caution those who hold that acquiring these 130 cars represents some kind of enlightenment about the place of Long Distance trains with Amtrak. We should note that 80 of the cars, 55 Baggage and 25 Diners, simply represent fleet replacement of units that are all older than 55 years. 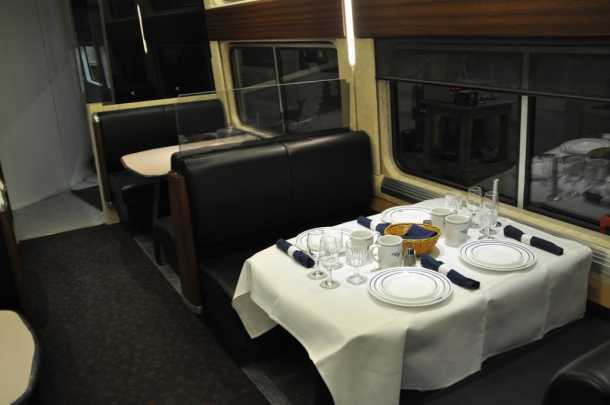 It is simply a case of if Amtrak is to offer Dining service on the single level trains and Baggage service on any train, those rolling museum pieces simply had to be replaced. The remaining 50 cars, namely 25 Sleepers and 25 Bagg Dorms, represent only a modest increase in capacity. Lest we forget that there were to have been 100 Viewliner Sleepers, but at the last minute, that order was halved, so there will still be less capacity than there would have been had the 100 car order stood. Finally, while it would certainly appear logical to fleet name these new cars Viewliners, but then this is government and somewhere there is a hungry consultant wanting to feed at the ‘Feddytrough’. To date, I am unaware of any reference by Amtrak (railfans of course) that the cars will be named Viewliner. Again, I agree. And I, too, have to make a 2:00 a.m. visit. After many train trips, I finally figured out how best to deal with that inconvenience: I sleep in a soft pair of gym shorts and a T-shirt. When nature calls in the wee hours, I just sit up, slip my feet into a pair of rubber slippers and head off to the lavatory. It makes a huge difference not having to actually get dressed and put on shoes. So where ARE these new sleeping cars? I travel cross country on the Zephyr at least twice a year and make about five other overnight trips each year. You wrote this in 2013 and I have yet to see or be in a spiffy new car. They are old, smelly (sometimes of sewage), worn and soiled. This is now 2017. Any info? Regrettably,there is mo word on those new sleepers. We are traveling now on the California Zephyr, in a roomette. We were told by the crew that this train currently has three sleepers on it and after the end of the year it will be reduced to two sleepers. Because the three sleeper cars are booked solid into the winter, Amtrak will have to refund money for the solidly booked cars in January and February. They are reducing the number of sleepers and reducing staff the dining room card. Thank you for alerting me to this. Shocking is what you were told is true. We’ll check it out. I must agree with Drew. I need to make a visit about 2 or 3 in the morning and having to put on track pants and find shoes is inconvenient. Understood. There are arguments on both sides, I know. I assume there would be at least one more public lavatory in each sleeper. I suppose that when it came to making that decision, another consideration for Amtrak would have been reduced cost and lost time because there will be 10-12 fewer toilets to break down in every sleeper.